Want to connect with Isabel? I am able to do Housekeeping and cleaning including washing, ironing and changing linens if needed. I have also have over 8 years experience doing post-construction cleaning and presently look after two apartment complexes. 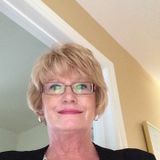 I am retired and worked as both a Recreational Therapist and Volunteer Co-ordinator in a Long-Term Care Facility, so I am quite comfortable around seniors and children. I am very organized and detailed oriented and if you send me your email and expectations - I can send you feedback from clients, my resume and references. I will tailor a housecleaning checklist to meet your expectations and Housekeeping needs. Looking for meaningful work close to home.